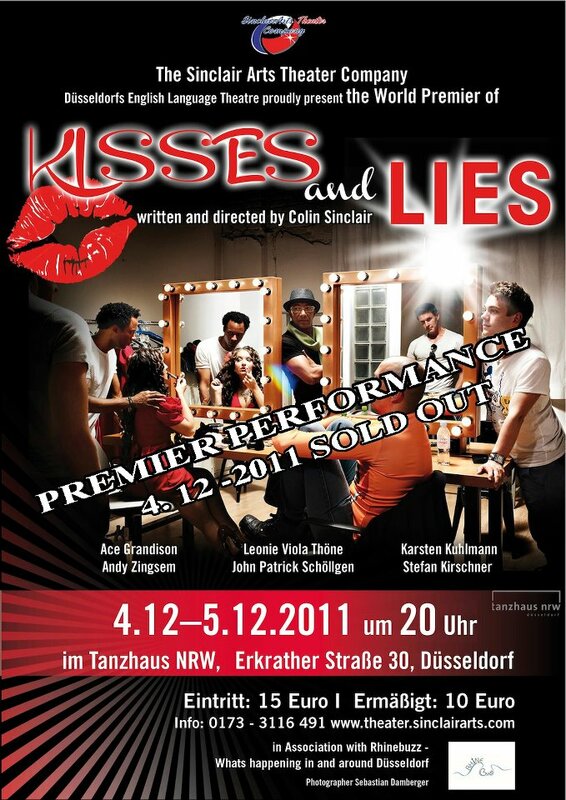 DÜSSELDORF - The Sinclair Arts Theater Company present the world premiere of 'Kisses and Lies'. An original stage play written and directed by the Companyʼs founder and artistic director Colin Sinclair. 'Kisses and Lies' presents a fly on the wall perspective of six performers who have lost the meaning of friendship, loyalty and honesty. The action takes place in confined space of the theater dressing room. As they prepare to perform on stage their already volatile and stained relationships become explosive.